These miniature pieces were composed in 2007. They are not too technically challenging and can be played by someone with small hands, perhaps even a child (the intervals in both hands do not exceed an octave). One need not play the whole collection; each prelude can be performed on its own.Whilst in the first piece jazz idioms are used sparingly, they are much more pronounced in pieces 2,3,5, and 6. The 5th piece resembles a jazz waltz, but the episode in the middle starts out in 7/8 time, then switches to 6/8, goes back to 7/8, and concludes in 9/8. This episode is followed by a recapitulation, where the quasi-waltz is restored. The last piece in this collection is probably the hardest. 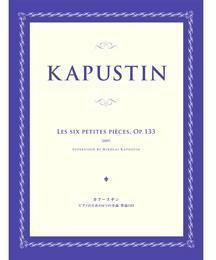 But on the whole, this opus might be the easiest of all that Kapustin has written for piano. What do you want to know about Kapustin, 6 Little Pieces op 133?